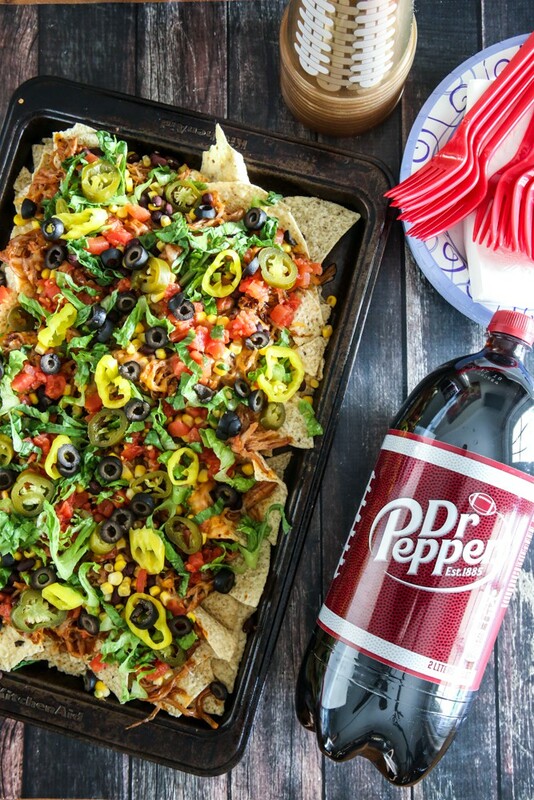 We love doing get-togethers this time of year because it’s college football season! 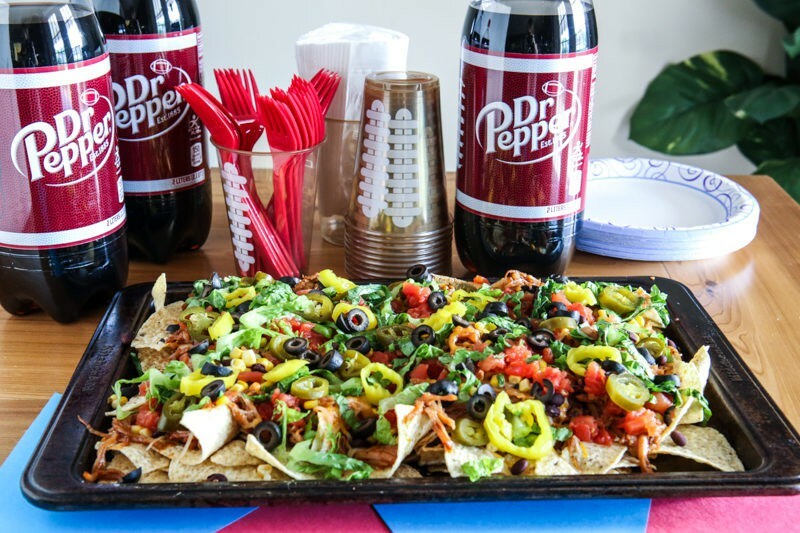 Nothing is more fun than having a tailgate party at home while watching the big game. The only downside to all that fun and good food is the cost. That’s why when I entertain I make sure to stay on a budget, a low budget, so we can have as many fun tailgating parties throughout college football season as possible. 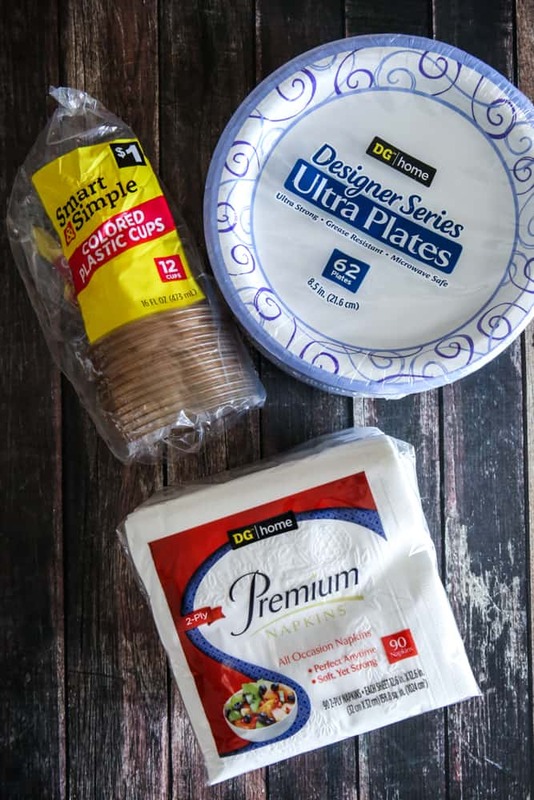 And my favorite budget friendly store for getting all the tailgating supplies I need from ingredients to paper products and cleaning supplies is Dollar General. Dollar General has amazing deals on lots of party essentials. 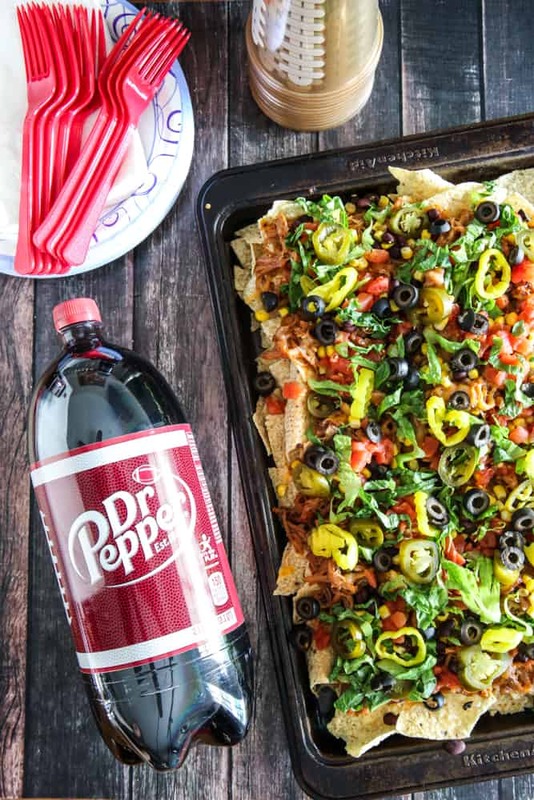 Here I have made one of our favorite tailgating recipes, Dr Pepper® pulled pork nachos. This is a real crowd pleaser. People just can’t stop eating it! This recipe is enough for a crowd. 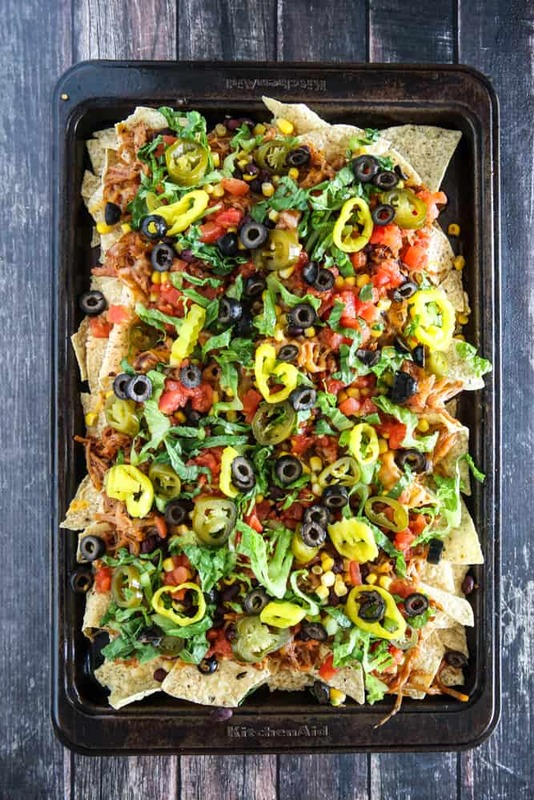 It makes 2 sheet pans of yummy nachos for sharing! You can get almost every ingredient for this recipe at Dollar General, with the exception of the pork and the optional lettuce garnish. Here are all the toppings I used and found at Dollar General. 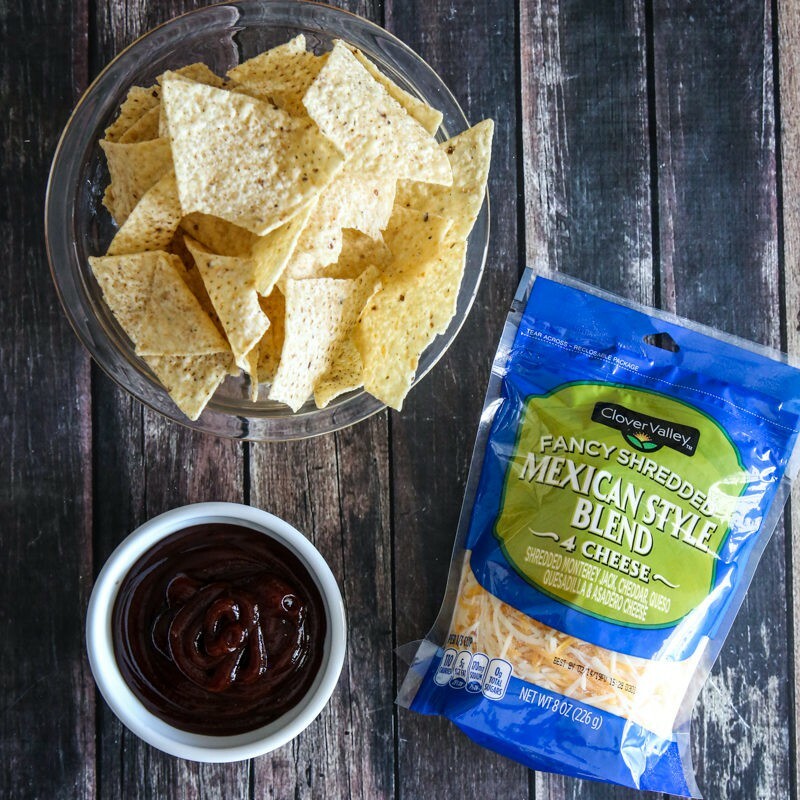 You can also choose from several brands of Bbq sauce, tortilla chips and even get the fresh cheese! And don’t forget the paper products too. They have a large selection at a great price. For this recipe I start with a pork loin instead of a shoulder because it’s so lean. When you cook pork in the slow cooker, there’s no place for that fat to drain, and even when you drain it after cooking, the meat is still greasy to me. So I usually opt for a pork loin when making slow cooker pulled pork, but please choose your favorite (or most budget friendly) cut of pork for your nachos! In addition to the pork, just add some Dr Pepper, salt and pepper and turn the slow cooker to low. Then just cook for 7 – 8 hours, or until very tender and easy to shred. At this point, drain the fat if using a fattier piece of pork. Then add a cup of your favorite BBQ sauce and mix well (Dollar General has a great selection!). If the sauce is too thin, turn the slow cooker to high for about 30 minutes, or until sauce is reduced. 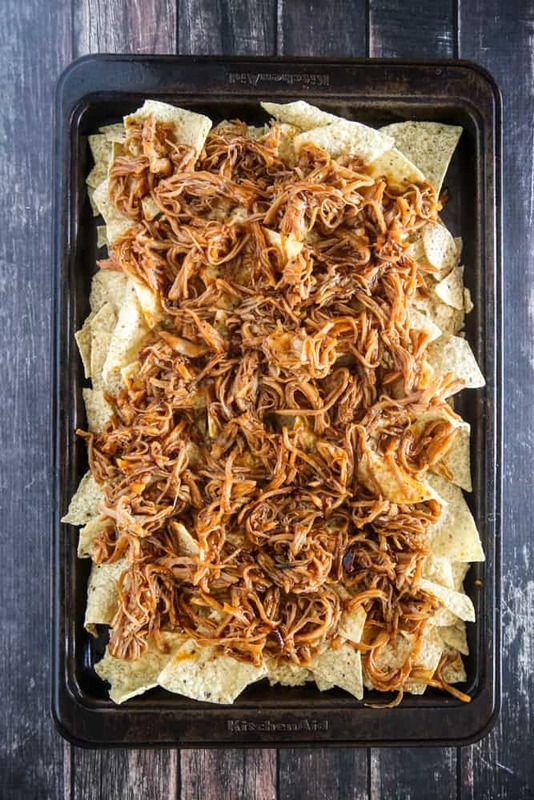 When the pork is done, spread a large bag of tortilla chips on a sheet pan and take half of the shredded pork and spread over the chips. Then add 1/2 of the shredded cheese and place under the broiler for just a minute or two, or until cheese has melted. 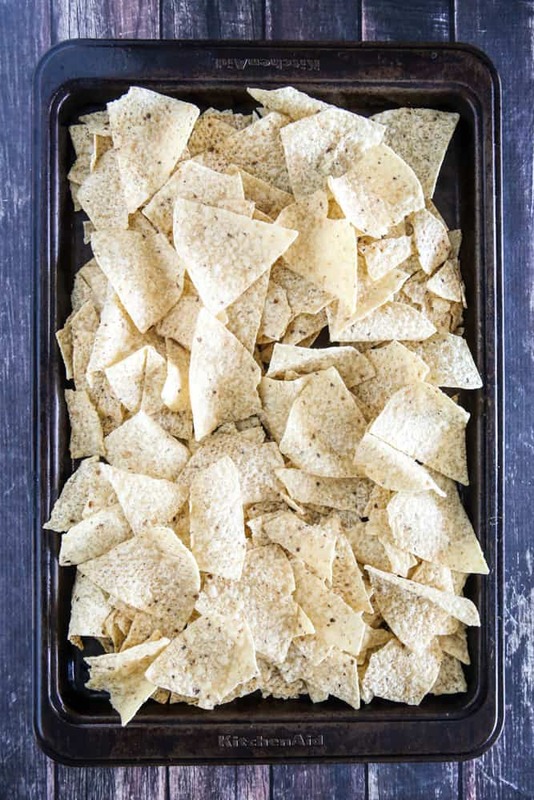 Remove nachos from oven and repeat the process with another sheet pan of tortilla chips. 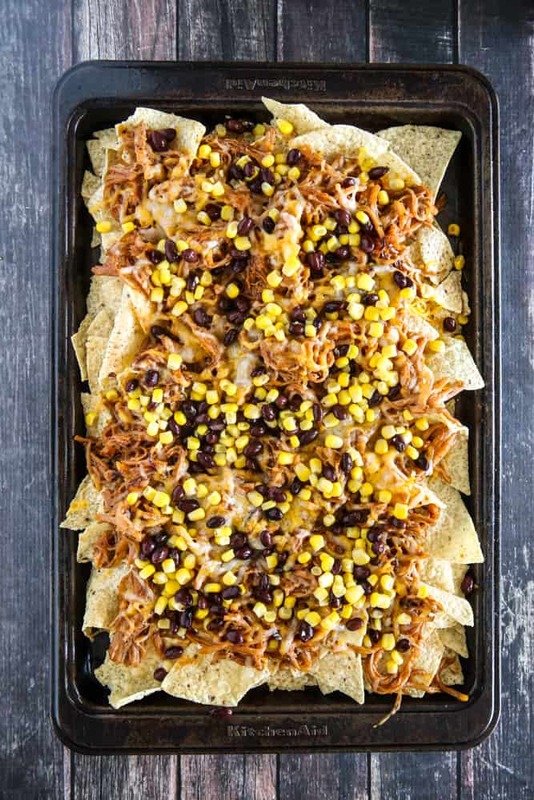 Then top nachos with rinsed and drained black beans and kernel corn. Next top with the drained mild diced tomatoes with green chilies. For a little pretty color, I added some shredded lettuce I happened to have on hand in the fridge. Then add the jalapeño slices, banana pepper rings and sliced black olives. And that’s it! 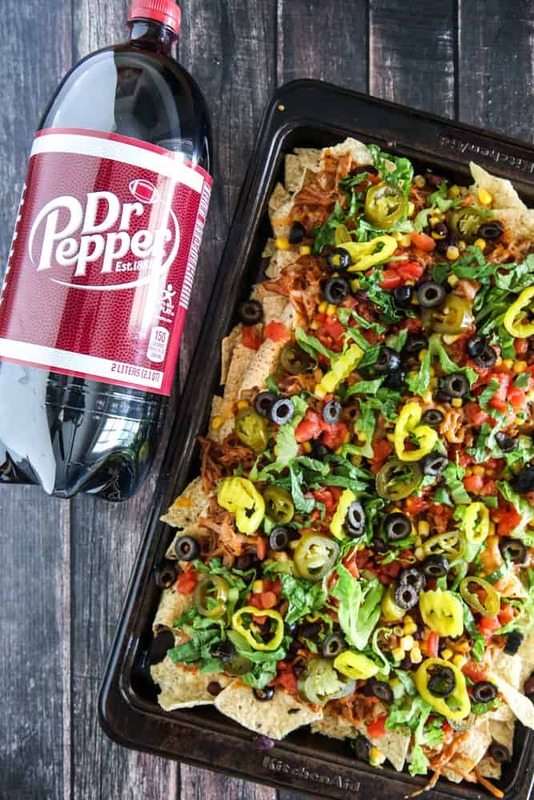 Yummy, delicious and most importantly budget-friendly Dr Pepper Pulled Pork Nachos. You can also get plenty of Dr Pepper for your tailgating parties at Dollar General. It’s the official drink of college football fans and has been part of college football for over 25 years! And who can resist its 23 flavors made into the most delicious, rich, indulgent, one of a kind flavor. 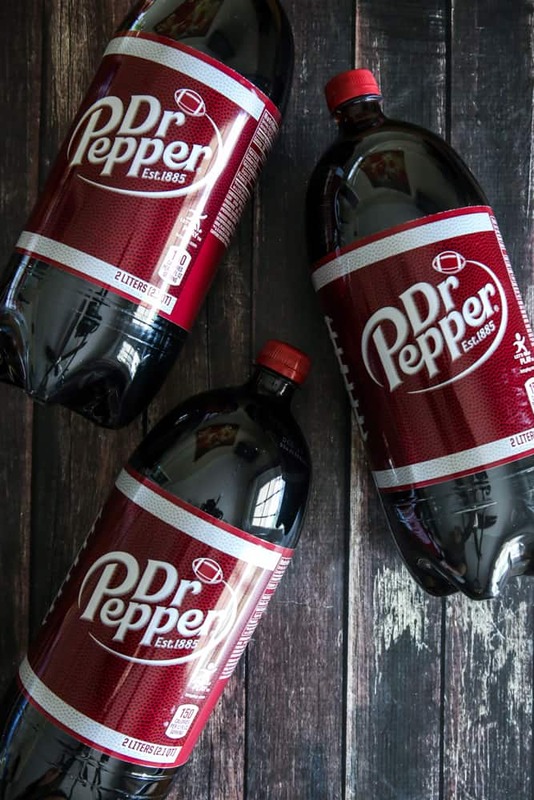 Dr Pepper is always my first choice for soda, no matter the occasion! I like to get the 2 liter bottles and serve over ice in festive cups for our tailgate parties. I found these cute football cups at Dollar General as well as the red forks, napkins and paper plates. I love the convenience and ease of getting all my tailgating party supplies at Dollar General where I’m always sure to find the best prices. I can even stock up on all my cleaning and paper supplies to prepare our home for visitors too! Combine pork loin, Dr Pepper and salt and pepper in slow cooker. Turn to low and cook for 7 - 8 hours, or until very tender and easy to shred. When pork is done, shred with forks and add BBQ sauce. Turn to high and reduce if sauce is too thin. 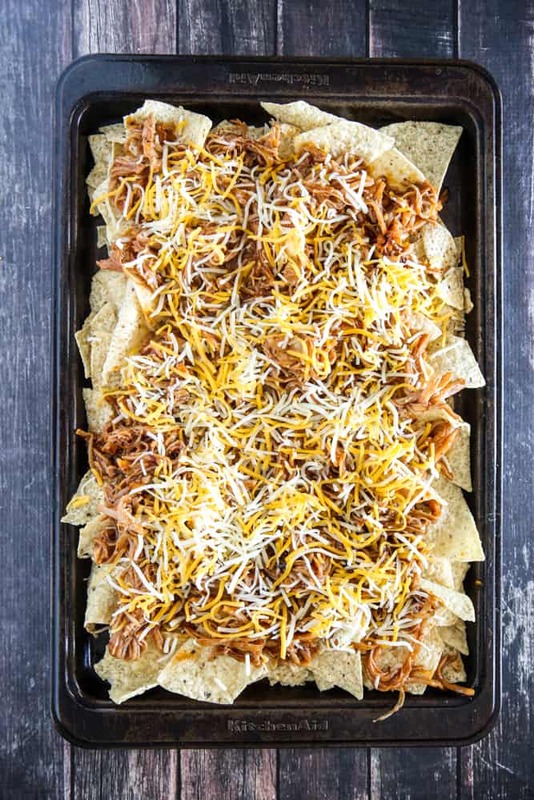 Spread 1 bag of tortilla chips on sheet pan and top with half of the shredded pork. Sprinkle with shredded cheese and place under broiler for just a few minutes, or until cheese has melted. Repeat process with other bag of chips and the rest of the pork and cheese. Drain and rinse the black beans and kernel corn. Add as many beans and corn as you like. You may have some leftover. 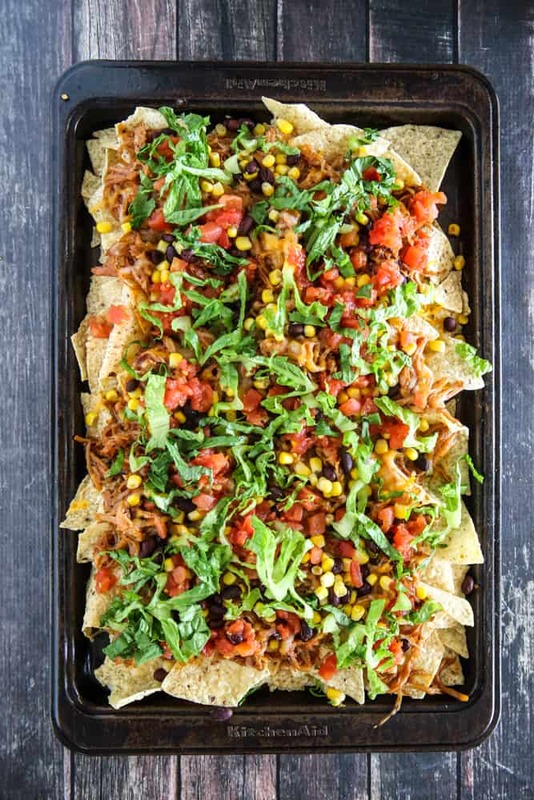 Drain Mild Diced Tomatoes with Green Chilies well and spread over nachos. 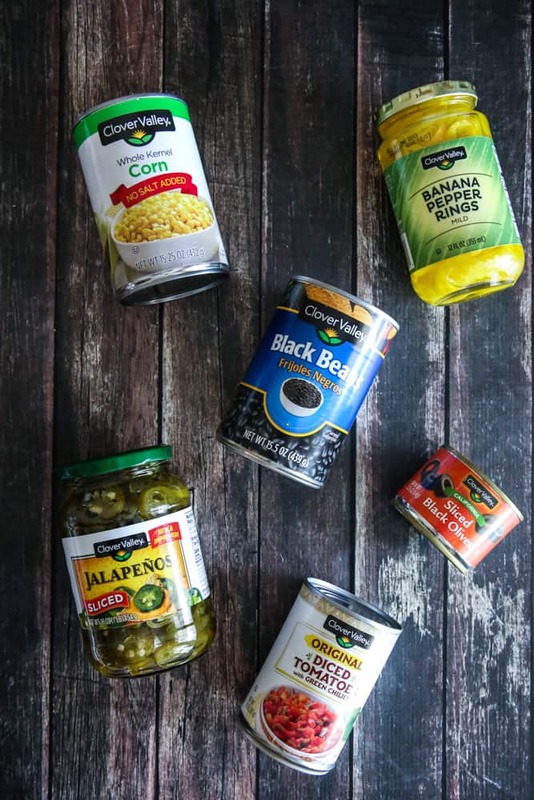 Add jalapeño slices, banana pepper rings and sliced black olives. Add shredded lettuce as garnish if desired. 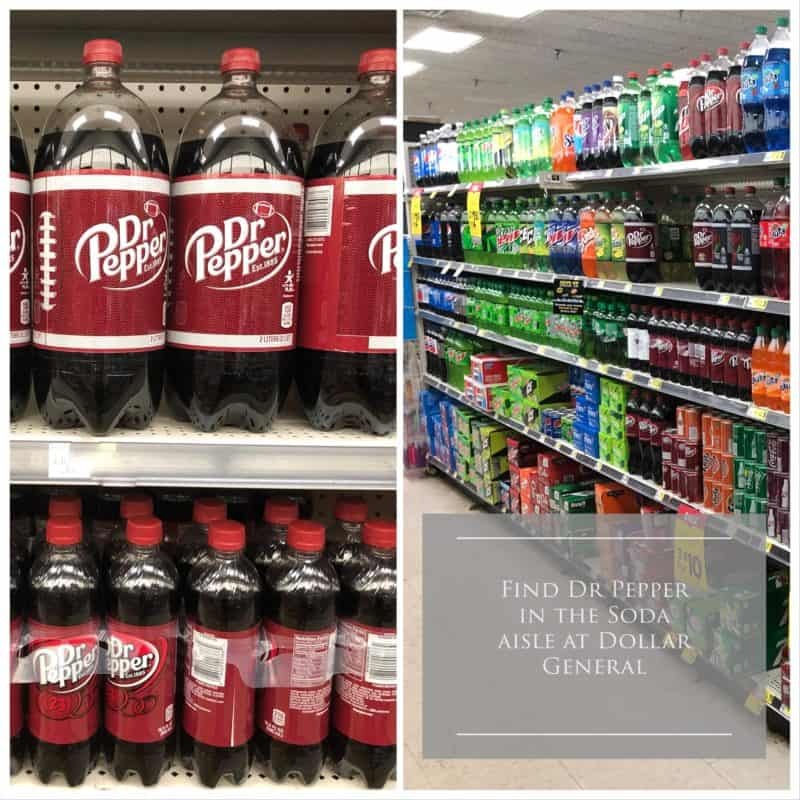 You can find Dr Pepper in the soda aisle of your local Dollar General. 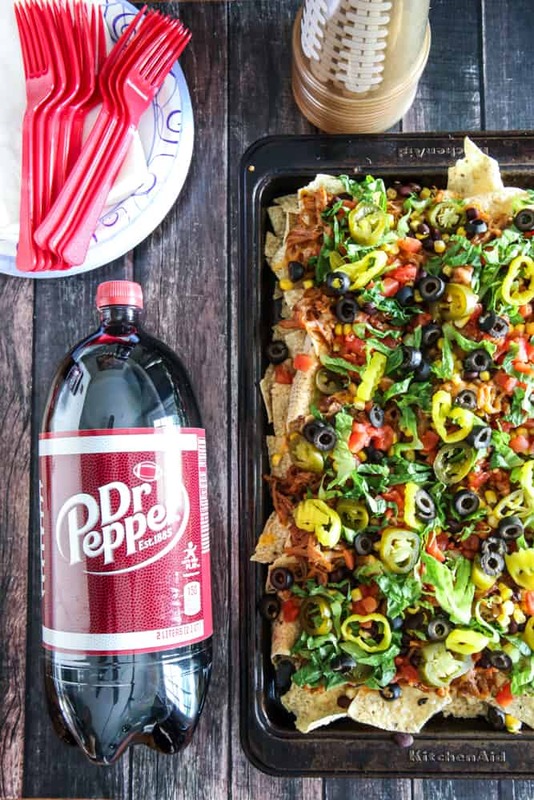 I could totally go for these nachos right now!